Equinox EB 6171 is one of the top product which can provide you best way to manage your weight. This is a digital weighing scale which can make sure that you get the most accurate to measure your weight. 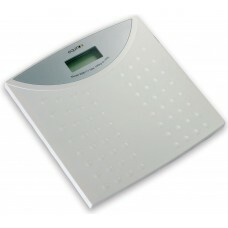 The scale is equipped with a gauge sensor which can provide you perfect weight. There is a four precise and easy strain gauge sensor which can make sure that the readings are accurate even till the last gram. It comes with a LCD display which can provide you readings with 25 mm digits. Q	Is the scale accurate? A	Yes, the scale is very accurate and can provide you precise readings.